Need a new processor? These are the best CPU deals today for the UK. CPUs are the beating heart of any PC build: they shoulder most of the work your computer does, be it gaming, video editing, or multi-tasking between apps. They’re understandably pricey as a result, so we’ve rooted out the best CPU deals of the week to save you money. After all, spending less on a processor leaves more for other parts. This is a great deal on one of the best mass-market CPUs for gaming PCs. You save about £112 at Amazon right now. 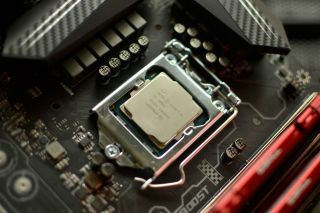 Broadly speaking, the best CPUs for gaming are made by Intel or AMD. The current top dog is the AMD Ryzen Threadripper 2990WX, but don’t feel you have to get the biggest and most expensive processor on the market. This particular model weighs in at over $1700, and you’ll still get incredible performance from your games for much less. For instance, we’d recommend Intel’s i5-8600K or the Ryzen 5 2600X. You can find both in the best CPU deals of the week listed below. Just be aware that certain CPUs need extra cooling. Namely, Intel’s K and X series don’t come with their own cooling system. Grabbing something like the NZXT Kraken X62 is therefore recommended. If you want to save on other PC components, look no further than our gaming PC build guide.